Reading books on investing money is a great way to learn more about what you should do at each point in your financial journey. In some respects, it doesn't really matter where you are in your journey because, no matter what you need help with, there's a book that covers it. We divided the books into four main sections, based on the stages of personal finance. And we also added a section for kids and money. And then we broke each main section down into sub-sections to highlight specific needs and interests. Click on any of the hyperlinks to go immediately to that section or group of books. The first book of each sub-section is selected to appear there because it appeals to the majority. If you have no time to read other books, start with that one. Books we consider essential reading are marked with a happy star . Some books are linked to Amazon.com if you want to read more about the book or purchase it. For each book, we include the readers we believe will get the greatest benefit from the book so you can scan through the list to find a book tailor-made for you. But don't ignore other books on that topic! There are many that are still worth the read. They would make a great gift even if it's not what you need. This first set of books is geared toward beginners. Even if you've picked up a lot of financial know-how through the years, revisiting some classics in this category may sharpen your frugal skills if you feel too much lifestyle inflation creeping in. And if you find yourself back in debt, crack open one of these books again. These books offer a wide view, discussing many aspects of money. They offer advice about saving, investing, and getting out of debt. They don't go into much detail about any one subject, but they provide motivation to get started — and that's what's most important. Content: Ramsey's seven baby steps to financial freedom form the core of this book. By following these in order — and not moving on to the next until the current step is complete — readers gradually progress from debt to wealth. Applause: Ramsey's advice strikes cynics as simplistic. But his steps work because they are simple and because they provide tangible results. Your $1,000 emergency fund isn't just cheap insurance against real life; it's a visible reminder that you have succeeded, that you can save, that you can be smart with money. The debt snowball is built around quick wins which give you the confidence to continue. If you're struggling with debt, there is no better starting place than this book. Content: J.D. Roth wrote “Your Money: The Missing Manual” precisely to be the sort of book he needed when he was struggling with money. Applause: I think it's a great resource, getting to the heart of a broad range of topics. As J.D. put it, his book took the best tips from the best books and presented this info in plain English so that anyone can get out of debt and start building wealth. Content: Each chapter ends with a checklist of things you should have accomplished as well as a bulleted summary. You won't find any new financial information here, but you will find new metaphors. Rose also shares personal stories from his experience in the armed forces. Applause: The book is action-oriented. Rose wants you to be a doer, not a talker. Criticism: The soldier metaphor gets a little old. Content: Clason offers personal finance wisdom in the form of parables. These nuggets of wisdom were originally distributed as pamphlets at banks and insurance companies during the 1920s. The most popular were collected into book form. This is the grand-daddy of personal finance (Benjamin Franklin is the great-granddaddy), and many of modern admonitions — “Pay yourself first,” “Invest for the future,” “Learn the power of compound interest” — can be found here. Applause: Common sense advice that everyone can use. Criticism: The format may be a deal-breaker for some. Don't give up the things you love. Find inexpensive ways to enjoy the things that are important to you. Cut back hard on the things that matter less. Never go shopping without knowing exactly what you want. Use the 30-day rule for any unplanned purchase. Applause: This book isn't really about personal finance. There's personal finance in it, sure; but like Hamm's blog, The Simple Dollar, it is about personal and professional transformation. This is a book about change. Criticism: It's repetitive. Hamm's writing style is weak and wordy. The message? Good. The delivery? Not so much. Content: This is a comprehensive overview of how money should fit into your life, divided into 10 chapters. In this book at least, Suze's advice is based on the assumption that if you're truly broke, the ideal option is probably not available to you and you shouldn't let the perfect be the enemy of the good. Applause/Criticism (depending on your perspective): Many of her recommendations fly in the face of traditional personal-finance advice. 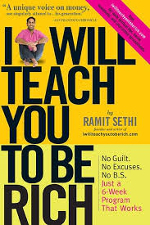 Content: Ramit stresses that “I Will Teach You to Be Rich” is highly tactical, and he's right. He doesn't just encourage readers to find the best savings accounts; he walks them through the process. He provides scripts for requesting rate reductions from credit cards and banks. He demonstrates his method of automating his financial life. He describes how to come out ahead in salary negotiations. Applause: “I Will Teach You to Be Rich” is packed with solid advice, cites its sources, and provides scores of tactical tips for managing money. Smart, bold, and practical. “I Will Teach You to Be Rich” is packed with tips that actually work. This is a great guide to money management for 20-somethings — and everybody else. Criticism: Ramit has a strong authoritative voice. He's bold, sarcastic, and even a little sassy. Not everyone likes this. If you're turned off by his blog, you'll be turned off by his tone in this book. And if you're married with kids, struggling to make ends meet, you're not the intended audience. Content: The authors play off the concept that time is money in a very literal sense. They encourage readers to sort out priorities, to cut expenses, and then to seek passive income in pursuit of financial independence. Applause: This is a classic, an excellent book. And also, even though this book was written years ago and has influenced many prominent personal-finance bloggers, its perspective still feels fresh and unique. Criticism: It can become a little New Age-y in spots. Content: The book includes assessing your financial fitness, setting goals, saving more, spending less, as well as insurance and preventing identity theft. This book can help you figure out why you have the relationship with money that you do, identify aspects of your financial life that need adjustment, and help you develop good habits going forward. Additionally, the assumption is that making positive financial changes will be easier if you can connect it to goals that are important to you. Applause: The format makes it easy to flip back to sections when you need them. Criticism: Keep in mind that this book is about general personal finance and not specifically geared to investing. Content: This book's balanced money formula is probably the single most important part of many people's current financial plan. This book offers a different perspective than many personal finance books. Applause: For those who complain that most financial advice — including that at Get Rich Slowly — is geared too much toward the middle-class and isn't appropriate for those who earn less and are struggling, “All Your Worth” may offer some answers. Criticism: The book takes a dim view of frugality and thrift, and it contains some wild assumptions (like 12 percent stock market returns). But with time, I have come to appreciate the strength of “All Your Worth,” not just for those struggling to shake off debt, but also for those of us who are beginning to build wealth. There's good stuff here, though you may need to filter some of the authors' rhetoric. For beginners, debt reduction is the most important task. I know from experience that this can seem like a long, lonely battle. But others have fought it before and have lived to document the process. Here are two books that describe different approaches to winning the fight. Content: “Debt is Slavery” is a deceptively simple book. It's short. Its advice seems basic. And it's self-published, so how good can it be? It's good. He covers a lot of topics that other authors shy away from, such as, the effects of advertising, the weight of possessions, and the soul-sucking misery that comes from a bad job. Applause: Mihalik's advice is spot on. This book may be short, but it's definitely sweet. Criticism: But then again, being short, it doesn't go into too much depth. Content: “How to Get Out of Debt” is built on the principles of Debtors Anonymous, a 12-step program founded in 1971 to help those who struggle with compulsive debt. Mundis was himself a debtor, and he based this book on his own experience. This isn't purely theoretical information from the mind of some Wall Street finance whiz who has never struggled; this book contains real tips and real stories from real people. Applause: If you've tried Dave Ramsey without success, read this. It's 20 years old, but the information is timeless. Criticism: This book is better for someone that is just getting started addressing their debt. Saving money is a key skill to develop if you hope to get rich. (Read “The Millionaire Next Door” if you don't believe me.) These books can help you learn to cut corners, to save money in ways that may not have occurred to you. Content: “The Tightwad Gazette” was a newsletter published during the early 1990s by Amy Dacyczyn (pronounced like the word “decision”). Eventually, the back issues were collected into a series of books which were, in turn, collected as “The Complete Tightwad Gazette.” Dacyczyn wrote articles like: “Used Shoes: Are they Good or Bad?”, “Budget Bug-Busting,” “Tightwad Toys,” and “Saving Money on Your Mortgage.” Sounds just like a personal finance blog, doesn't it? Applause: I have read this book cover to cover at least three times. I have flipped through many other articles more than that. This book is one that I want to always have on my shelf. Plus, she is funny. Criticism: As much I love this book, it is outdated in certain areas. It's not always easy to find specific information, and I miss investing advice. Content: Along with focusing on useful and practical tactics for saving money, Hamm also includes two chapters of general tips for flexing your frugal muscles — things like, plan ahead for car replacement, install a programmable thermostat, exercise more frequently. A book like this doesn't lend itself to easy review. It's not meant to be read from cover to cover. Instead, use it as a resource, as a pool of ideas. Looking for ways to save on electronics? Pull out “365 Ways to Live Cheap!” for tips like this. Applause: This is a compendium of tips (or “tactics”), and as such, it succeeds admirably. Content: Don't judge a book by its cover. Sometimes it's the most unassuming of books that offers the best advice that can actively help you on your quest to get rich slowly. Applause: Miserly Moms is ostensibly a guide for stay-at-home mothers but is actually filled with useful tips for anyone who is concerned with frugality (especially parents with young children). Content: This book offers hundreds of ideas on how to avoid debt, maximize your wages, save on insurance and utilities, and generally live a frugal lifestyle. Applause: Filled with good advice, but be careful about going without healthcare. Criticism: A bit out of date, and maybe a little radical. Content: This book is packed with tips. Davidson covers a wide range of topics; and for each, he offers several ways to save money. Applause: A great resource for anyone wanting to cut down the clutter of life. Criticism: But then again, if you have a bit of experience with your finances, maybe it won't exactly be groundbreaking information to you. Content: Balish begins by explaining why you're better off not owning a car — financially, ecologically, and socially. He spends the rest of the book describing how to survive without one. He offers tips for mass transit, walking, bicycling, and more. Applause: If you're in its target audience, it is worth a read. Criticism: This book has a narrow focus. How we feel often affects how we spend. And sometimes we have unconscious triggers that trick us into spending more money! Here are some books that illuminate this connection so we can achieve financial goals. Content: I'll admit that, on paper, “The Happiness Project” may seem sort of lame. Rubin decided to spend one year consciously pursuing happiness. Each month, she tackled one specific aspect of life — marriage, work, attitude, and so on — and during that month, she attempted to master a handful of related resolutions she hoped would make her happier. Fortunately, the book isn't lame. Rubin's style is warm and engaging. Though “The Happiness Project” includes tons of info from research into happiness and well-being, this data isn't presented in a dull, dry way; it's neatly woven into Rubin's account of her day-to-day progress toward happiness (or lack thereof). She shares the research in casual prose, not in academic jargon. Applause: I'm guessing that for many GRS readers, a personal happiness project could lead to increased wealth — financial and otherwise. Criticism: None. Well, actually, I mean it's hard to find fault with happiness! But the book honestly isn't about your finances, so maybe that should be said. Content: There's a little personal finance advice here (all of it solid), but mostly this book is about changing the way you think about money and about yourself. Applause: I found “Secrets” inspirational. It's a good choice for somebody with big goals or somebody trying to overcome negative thinking. Criticism: If you're looking for a book with lots of personal finance advice, this book isn't it. Content: Most of his books, like this one, are accompanied by DVDs/CDs to help induce a hypnotic state so that the lessons become part of your subconscious. McKenna's aim is to help people reframe their experiences so that they can both achieve their goals (like losing weight or paying off debt) and also become mentally flexible enough to take advantage of unique opportunities as they arise. By training yourself to approach and react to situations in particular ways, your responses can become more productive and you can more successfully manage stress. Applause: If you are interested in digging into your psyche to discover why you act the way you do with money and want to reprogram your responses so you can approach money matters in a productive and positive way, “Change Your Life in 7 Days” may be a useful book for you. And because it has so many applications beyond personal finance, it may be useful to a wider audience as well. Criticism: Some of his recommendations are a little woo-woo in my estimation. Content: In this short book, Belsky and Gilovich catalog a menagerie of mental mistakes that cause people to spend more than they should. This book covers more than a dozen psychological barriers to wealth and explains how to prevent them from sabotaging you. Applause: What might have been a boring topic becomes fascinating thanks to an engaging style and plenty of anecdotes and examples. Criticism: One criticism I might level is that the book isn't very scannable, meaning that it's not laid out so that you can easily find your topic and read what interests you. Content: Schwartz argues that the vast array of choices available to us in the marketplace actually make us less happy. We'd be better off with two options for a wide-screen plasma television instead of 22. Too much choice doesn't just make us unhappy, it prevents us from making smart decisions. Applause: Fascinating stuff, and it has a bunch of New Yorker cartoons in it. Criticism: It's written from an academic perspective if that's off-putting to you. If you are interested in the relationship between money and our behavior, read this book. Content: Zweig covers the latest research into how money affects our behavior. Zweig's extensive footnotes point to tons of great research studies about how we handle money. Applause: There are a lot of interesting books out there about the psychology of personal finance, but this is the most comprehensive. Criticism: It's oddly one-sided — information about the problems, but very little about solutions to the problems. Content: “Mind Over Money” won't teach you how to budget, and it doesn't ever mention index funds. This isn't a book about the nuts and bolts of personal finance; it's a book about how we relate to money. The authors argue that our relationships with money are complex and not entirely rational. Our financial behavior is influenced by psychology and emotion and, especially, our personal history. We've all developed money blueprints that shape how we deal with our finances. Applause/Criticism: “Mind Over Money” doesn't provide all of the answers you need to correct your money blueprint, but I don't think that's the point. The strength of the book isn't in the answers it provides, but in the questions it provokes. This trio of books won't help you get rich — at least not directly. They don't contain overt stock tips, guidance about personal finance, or advice for frugal living. Instead, they tell real-life stories about certain aspects of finance. Content: It's not just Bernie Madoff. Wall Street has fallen prey to all sorts of unscrupulous men over the course of its history. In “Den of Thieves,” Stewart takes us inside the high-finance worlds of Michael Milken, Ivan Boesky, Martin Siegel, and Dennis Levine. These men were embroiled in the insider trading scandals that shook the market during the 1980s, and through their stories we're able to see just how much corruption the influence of money can bring. Applause/Criticism: A little dense at times, but it's a great way to learn about the market. Content: In this biography of Buffett, Roger Lowenstein describes the events that shaped his life, starting as a boy in the early 1930s. As we follow Buffett's growth, we learn about the development of investment theory. In addition, there is plenty of information here about Buffett's investment philosophy. Criticism: It is more the story of his life as opposed to his investment techniques. Content: Writer Studs Terkel published “Hard Times” in 1970. It features excerpts from over 100 interviews he conducted with those who lived through the 1930s. Terkel spoke with all sorts of people: old and young, rich and poor, famous and not-so-famous, liberal and conservative. Applause: By including the perspectives of so many different people, Terkel is able to paint a richer picture of what things were like during this period. Criticism: This might be helpful if you are going through a difficult financial period, but there isn't a lot of detail to each story. Meeting our financial goals often requires making more money — sometimes a lot more. These books cover different money-making methods so you can get ahead. Content: This book is about asking for more, creating more, and working your way through the psychological pitfalls that lead to being satisfied with less in the first place. As a reporter, Barbara Stanny interviewed 150 high-income women and wrote a book about them, “Secrets of Six-Figure Women.” In the process, she learned that the big difference between highly successful women and less successful women was how they valued themselves and what they were willing to do to get what they wanted. They didn't think of limits, and they surrounded themselves with people who also were successful. Applause: “Overcoming Underearning” is a good book, and it's in line with Get Rich Slowly's ideals. If you need to get started — or have started but have hit a wall and you don't know why — this might be the book for you. Criticism: However, the book contains few actionable steps that will help you make more money or invest well. If you need a how-to book, keep looking. Content: This book is filled with inspirational anecdotes and provocative ideas about how you can make the leap from desk jockey to the pursuit of your dreams — all while investing less time into your work. The flow of ideas is relentless. An intelligent reader can easily extract a wealth of useful ideas from the book. Applause: Despite its flaws, “The 4-Hour Workweek” is a great book. I think that most people can draw something useful from it. Criticism: A lot of the advice seems impractical and out-of-reach for the average person. Content: First, the book offers ideas to finding more time and making better use of the time you have. However, the heart of the book (over half its content) describes how you can make the leap from passive consumer to active Cre8tor™. Cre8tor™ is Pagliarini's term for folks who make things, and in this section he urges readers to tap into their entrepreneurial side. Pagliarini includes his list of top 10 channels, including blogging, inventing, starting a company, freelancing, and turning hobbies into income. For each channel, he offers basic guidelines and resources for getting started. Criticism: Reading Pagliarini's proprietary terms (Cre8tor™, etc.) gets old rather quickly. Content: This hard-to-find volume from 1978 looks like a get-rich-quick book. It's not. It's all about starting and running small businesses, especially craft businesses. To Lancaster, a money machine is any venture that generates what he calls “nickels.” Nickels are small streams of revenue from individual customers. Applause: If your goal is simply to earn a comfortable income for yourself by doing something you love, then this book can help you explore the idea of business ownership. Criticism: The groovy '70s lingo threw me off a little. Content: After finding out that corporate America wasn't all it's cracked up to be and racking up significant debt (~$70,000) while on a six-figure salary during that process, Tardy left that world behind to focus on being happy. Today she runs the website EventualMillionaire.com. She's interviewed over a hundred millionaires to track down some common denominators in financial success, and this book shares her discoveries with you. In other words, while this book is intended to make some connections and give you some guidelines, it's not going to do the work for you. Taking action is your job. You can be intimidated by that … or inspired by it. Tardy votes for inspiration. and have always wanted to start your own business. Criticism: Some of the reviewers on Amazon were disappointed with the grammatical errors and felt that there was not much new ground shared. Content: This is Paine's third book. Paine is the blogger behind the massively popular blog Money Saving Mom. In this book, Paine shares her challenges with starting businesses in the past, real-life examples of moms who are making real money, and practical tips for replicating some of her success. Applause: I appreciated the real-life stories and examples. This book makes making extra money feel within reach. Criticism: To me, most of the examples felt more like businesses just added to the family budget, instead of businesses that actually supported entire families. Make at least $50,000 per year from their business. Willing to cough up financial data and demographics. Applause/Criticism: This is an actionable guide that you can customize. If you have zero desire to start a business or if your goal is to be the founder of a big Internet startup, this book isn't for you. But if you're interested in starting a small business doing something you're passionate about, I highly recommend it. Content: After spending years running his business out of his head, lunging from one emergency to the next, trying to physically and financially keep the company running, Carpenter had a life-changing epiphany that transformed his relationship to work, to home, and to other people. Carpenter discovered the value of creating step-by-step instructions or systems for almost any process that encompassed his business. Once those systems were in place, anyone within the organization could follow the procedures and accomplish the objectives and goals of the company. He stresses the importance of first developing strategic objectives, general operating principles, and then working procedures (the fluid part of the Work the System method) to maintain a healthy sense of control. Applause: What I thought was going to be a theory filled with holes and short-cut tricks turned out to be something to which I could relate. Though Carpenter focuses on his own company and the application of the steps to creating systems, the concepts carried over to my world outside of telecommunications. Criticism: Although this material is applicable to more people, the primary audience is business owners who are overwhelmed. Wealth is about more than money. These books will help you become a well-rounded person and will help you develop skills that will indirectly aid your personal finances. Content: Butler-Bowdon selected 50 important books from success literature. For each, he created digest versions, summarizing each volume in only a few pages, distilling its key points. He also provided biographical information on each author, and attempted to explain why each book is relevant, placing it in a larger context. Applause: If you don't have time to read all 50 books, this gives you an option to get the concepts quickly. Criticism: And if you want to read all 50 books, this book is unnecessary :). Applause: The devil is in the details, and Carnegie's simple prose does a fine job of pointing the way. Criticism: Even though this is a beloved classic book on relationships, I came across an interesting criticism on Amazon. It pointed out that, because it was written so long ago, the culture has changed and some of its principles may actually steer people in the wrong direction today. But I still think there's a lot to be gleaned from the book. Content: Little needs to be said about this book — it's a geek classic. Allen describes his formalized system for creating greater efficiency. Though I've found it difficult to maintain the precise system for long, I use elements of it all the time. Applause: If you have trouble procrastinating or staying organized, this book is for you. Criticism: Although I have implemented some of Allen's systems, GTD feels clunky and complicated as a whole. Content: This book helps you learn how to relate to people, how to establish contacts, and maintain connections. Applause: Worth reading if you have contact with a wide group of people. Criticism: Networking for the sake of networking puts me off. The endless name-dropping gets old fast. Learning to invest your money wisely is obviously one important aspect of building wealth. Wall Street is not friendly to the small investor; instead, it's designed to part you from your hard-earned dollars. These books can help you develop an investment philosophy that can help you improve your odds of retiring wealthy. Content: Malkiel is best known for his classic “A Random Walk Down Wall Street.” This book is shorter, written in plain English (there's no investing jargon), and is easy to understand. But that doesn't mean it's simplistic. Applause: This is an excellent book, filled with advice based on sound financial principles. It covers risk tolerance, asset allocation, diversification, and even a little behavioral finance. An excellent guide for beginners. Criticism: If anything, the criticism would be that it's for beginners. Content: If you have recently or will soon be entering the land of full-time employment, 401(k)s and 403(b)s, then this is probably a good book for you to read. You may or may not need to read the entire thing to be convinced that index funds are the best bet. However, Solin himself says several times throughout the book to go ahead and skip to Chapter 36 as soon as you've internalized that message. That's where you'll find the step-by-step instructions for picking the best funds for you. Content: There's more to David Bach than just “the latté factor.” The system he recommends here is excellent — an automated approach to managing your personal finances. If you've been meaning to open a Roth IRA but have never actually done so, then read this book! He'll explain how to set it up so that it's painless. The Automatic Millionaire is based on sound financial concepts. The author encourages readers to eliminate debt, to live frugally, and to pay themselves first. But the core of his book is unique: Rather than develop willpower and self-discipline, Bach's thought is, why not bypass the human element altogether? Why not make your path to wealth automatic? Applause: If you have your personal finances in order, you probably don't need to read “The Automatic Millionaire.” But if you're struggling to gain control, this book can make a big difference. Criticism: The only caveat I'd note is that this book is several years old now, and because it contains specific recommendations for financial companies, it may be in need of an update. Content: Most investing manuals espouse one sure-fire method or another. Four Pillars does that to an extent, but the author provides a great deal of depth and color to support his argument. I love that Bernstein takes a comprehensive, holistic approach to the subject, not just looking at the theory and business of investing, but also looking at the history and psychology of investing. Applause: This is a great book for anyone that wants to self-educate on investing. Content: Andrew Tobias is an entertaining writer. His jocular, conversational tone will keep you interested as he describes mutual funds, bonds, and treasury bills. There's a good section on how to handle a windfall (lottery, inheritance). My favorite bit from Tobias is his three-step budget: Destroy your credit cards, invest 20 percent of everything you earn (and never touch it), and live on the remaining 80 percent no matter what. Awesome. Applause/Criticism: This is a classic introduction to the subject of investing, though at times it seems a little dated. Content: You want expert investment advice? You can't beat the info found here. These devotees of Vanguard founder John Bogle are big on slow, sure investments like indexed mutual funds. They tap their decades of experience to teach about diversification, inflation, and asset allocation. This book covers a broad range of topics, though its primary focus is investing. Applause: Not nearly as boring as it sounds. Highly recommended. Criticism: It sticks pretty much to the notion that index funds are the best choice and could have done a better job of teaching how to decide which is the best choice. This penultimate section includes volumes covering topics related to financial independence — that magical point where you no longer have to work. This is the final stage of money management. For many people, this means retirement. But it doesn't have to be that way. These books offer solid advice for how to create a future that matches your dreams. Content: Imagine a personal-finance book written by a theoretical physicist. What would it be like? Full of formulas and figures, right? Well, that's what you get with “Early Retirement Extreme.” But you get more, too. This is more than just a personal-finance book filled with formulas and figures. It's also philosophical. This book is about strategies, not tactics — it's about the big picture instead of the day-to-day actions needed to retire early. If you're up to the challenge of filling in Fisker's framework with your own details, this book could be a life-changer. While many people think you need to earn big bucks to retire early, Fisker did it differently. Instead of boosting income, Fisker cut costs drastically. While drawing an average salary, he learned to live on less. Much less. He started to do things himself. His pre-retirement lifestyle and post-retirement lifestyle are essentially the same. Except now he doesn't have to work. Applause/Criticism: Early Retirement Extreme feels like a book written by an engineer for other engineers. This isn't a bad thing, but it is unique. Some people will love it; others will hate it. But if you're up to the challenge of filling in Fisker's framework with your own details, this book could be a life-changer. Content: “The Quiet Millionaire” is a quiet book. Wilder isn't bombastic and he doesn't tout any gimmicks. It's not really a book for beginners. It's targeted at folks who have reached the third stage of personal finance — or beyond. Applause/Criticism: In many ways, “The Quiet Millionaire” is boring. It's like a textbook for financial independence. But you know what? Smart personal finance is boring too. Smart personal finance isn't about being flashy or gambling in the stock market. Smart personal finance is about making the right choices day after day, year after year. “The Quiet Millionaire” may not make any best-seller lists, but I'll bet it makes some of its readers rich. Content: Clyatt describes techniques for leaving the workaday world years (or decades) before the traditional retirement age of 65. “Work Less, Live More” includes sections on defining your goals, learning to live on less, putting your investments on autopilot, and more. Applause/Criticism: Although this is applicable to all readers, high-income earners will find this material easier to apply. Content: The book is filled with investment advice, but it gives equal time to thrift and savings. Best of all, it asks as many questions as it provides answers. It prompts the reader to think, to evaluate her priorities. Its message is that yes, you can achieve financial independence; but you can't get there overnight, and you can't get there without setting goals and making sacrifices. Applause: “Yes, You Can … Achieve Financial Independence” is informative without being dense. It's accessible without being condescending. Its advice is solid. Criticism: I didn't find much to criticize about this book, and nor is there much criticism on Amazon.com – so there you have it! Many parents are unprepared to teach their children about money. You needn't be one of them. These books suggest methods for getting kids to understand how money works. Content: This book provides a financial plan for your kids. Touching on debt, saving money, giving money, its goal is to help you teach your children how to handle money responsibly. Applause: The book is practical and covers preschool-aged children to teenagers. So, if you haven't started your child's financial education as soon as you'd have liked, Hunt gives you tips on how to talk to your kid — no matter what age they are! Criticism: If you are looking for a book about investing or entrepreneurship for kids, there are others that are better. This book is kind of like “The Tightwad Gazette” for kids. What Color is Your Piggy Bank? Content: Linecker covers the world of jobs, setting up shop, and how to manage money. Content: Growing Money has good chapters on banks and bonds, but most of the book is devoted to stocks. The book also contains chapters on the history of the stock market, how investors make money, and how to buy and sell stocks. Applause/Criticism: This is probably my favorite book for children, but it does have some weak spots. Only one page out of 120 is devoted to mutual funds. Because the book is aimed at children, taxes are barely considered. Still, its strengths outweigh its weaknesses. It's the sort of book to buy for your nephew, but read yourself before you pass it on. Content: This book was written by a young entrepreneur. Criticism: But the criticism on Amazon.com listed the inexperience of a young entrepreneur as a negative. Content: Sherlock offers tips for how to raise children that aren't part of the consumerist culture. She encourages strong family ties as a counter to the relentless purchase to acquire stuff. Sherlock is also a proponent of using family rituals to replace consumer-oriented cultural activities. Applause: There's some great advice here (the book is strongly influenced by “Your Money or Your Life”). Criticism: Some readers may be put off by the author's philosophy. Content: This book offers good, general personal finance advice in the guise of a novel. Several friends meet once a month at the barber shop where the titular character dispenses wisdom on saving, investing, buying a house, and so on. Applause: The advice here is excellent, often backed by clear examples. The book's conversational tone may appeal to some who might otherwise be turned off by personal finance. Criticism: While the conversational tone is a novel approach, some people may get impatient with it. Though we've linked to the Amazon pages for many of these books, we encourage you to get them free from your public library. J.D. Roth used to acquire the books in his personal finance library on the cheap from garage sales and thrift stores. I'm sure I've left out a book or two. Please feel free to add your favorites to our list! There are 115 reader responses to "The ultimate round-up collection of personal finance books". If you find “A Random Walk Down Wall Street” a bit intimidating, I highly recommend “The Random Walk Guide to Investing: Ten Rules for Financial Success.” It’s sort of the Cliff Notes version of the original Random Walk book. J.D., excellent list, sir! These are the kind of posts I drool over. Many of these I haven’t heard of… looks like another trip to the library for me. 5+ stars! I can’t recommend “A Random Walk Down Wall Street” highly enough. It is is easy to flip through it and be intimidated by all the charts and graphs. Don’t be. The book is written for the average person to understand. Admittedly, I majored in math, but I really didn’t see anything in there that used any esoteric formulas. If you are comfortable with ratios (one number divided by another) then you have all the mathematical acumen necessary to read RWDWS. For investing, I agree with the Boglehead’s guide and the Andrew Tobias book. I didn’t find the Tobias book very practical (except for obvious things NOT to do) but it was very entertaining. Beat the Street – Peter Lynch. Very funny, much like Tobias’ book. The Five Rules for successful stock investing: Morningstar’s guide. Goes into detail about valuation of individual company stocks. What Works on Wall Street – James O’Shaughnesssy. I would also highly recommend going to http://www.morningstar.com and look for their Education section. They have fantastic set of “courses” on stocks, funds, bonds and portfolios. Each has maybe 50 short topics with a quiz. Will take days or weeks to get through it, but it covers every aspect of investing. The main article has some great reads, but in my opinion this reply has some gems in it and should be included in the main list. I have been looking for a list like this. Thank you, thank you, thank you! I concur. In fact, I should have marked that book with two happy stars. Elizabeth Warren’s “All Your Worth” is hands-down the best personal finance book I’ve ever read. It exhorts responsibility without being judgmental, it offers a simple, reliable guideline to managing one’s finances, and is flat-out indispensible for people considering living in a high-cost area. I read The Millionaire Next Door and The Wealthy Barber. Found both interesting and insightful, but wish The Wealthy Barber was more current. It is a book that could be updated every couple of years and be even more effective at communicating it’s message. Haven’t read TMMO but have read most of Ramsey’s other books. I really appreciate the time and effort you put into this post. I also would have liked to have seen a book about real estate investing. Can anyone recommend one? A great list (and one that includes a few books I have yet to read). 2. some books on historical events (such as “The Great Crash” J K Galbraith, “Anatomy of the Bear” Russell Napier are good although a bit dry). If nothing else they will remind people that markets do not always go up and that the best time to invest is when there is “blood on the street”. Sorry, but I disagree very strongly with the suggestion of adding “Rich Dad, Poor Dad” to the list. Like the writings of many self proclaimed gurus it may be motivational to the inexperienced and naive, but there is nothing else that is positive about that book. Second on the thumbs down on “Rich Dad, Poor Dad”, Sorry, it’s pure snake oil. Plus would love to see a follow up post on real estate books. If I was to add one would be “Rental Houses for the Successful Small Investor”. One of the best buy and hold books I have ever read. Coffeehouse provides a clear, easy to read and understand discussion of modern portfolio theory, asset allocation, risk management, index investing, and general market psychology. It’s actually a fun, hip read. I view Informed as the technical companion to Coffeehouse. It’s denser, and clearly illustrates how / why modern portfolio theory works, and how risk is mitigated with the various asset allocation while maximizing gains. I’ve read many of the books cited and they are good. But when you’re ready to invest, make sure you read these two, starting with Coffeehouse. I personally have the Intelligent investor, i would say it’s not that technical after all. If you could find that to understand some of the term on the book. This is a must read for all of those who want to invest on stock market. A classic i would say. Add the following books to the list: Security Analysis by Dr. Benjamin Graham, The Essays of Warren Buffett by Lawrence A. Cunningham, Buffettology by Mary Buffett, Common Stocks and Uncommon Profits by Philip A. Fisher, Damodaran on Valuation by Dr. Aswath Damodaran, and Theory of Investment Value by John Burr Williams. Intelligent Investor, as noted by others, is a must read as well. I agree with Alex; The Intelligent Investor is not really that technical, though it is a bit massive. If you have trouble with it, try reading the stock articles in Morningstar’s free Investor University — they do a nice job of cutting through the (now-historical) numbers to the basic concepts, which are not that difficult to understand. For traineeinvestor and others looking for a historical perspective, I highly recommend “Devil Take the Hindmost: A History of Financial Speculation” by Edward Chancellor. While many historical books focus on the last 70 to 100 years of US markets, Chancellor covers bubble markets beginning with speculation in ancient Rome. He covers Holland’s tulipomania in the 1630s, London stockjobbers in the 1700s, the South Sea bubble in the 1720s (which lead Isaac Newton to comment “…I can predict the motion of planets and stars but not the madness of men…”), the British railway bubble in the 1840s, junk bonds and the Japanese bubble in the 1980s, and Long Term Capital Management and the internet in the 1990s, and many more periods of speculative frenzy. “What is the first book that I should read that tells me how to invest?” These are easy to answer. So, uh, what’s the first book that I should read that tells me how to invest? JD Great list! I have read about a quarter of the books and plan to start on the rest. One book I would add that I recently read is The Four Pillars of Investing by William Bernstein. This is a very good book on the basics of investing and asset allocation. To the Basic Personal Finance section I’d add Jane Bryant Quinn’s “Making the Most of Your Money.” It’s the one that started me on the path of better personal finance. Thanks, everyone, for your additional suggestions. It sounds as if I need to give Random Walk and Intelligent Investor closer examination. I’ll put them in my to-read queue (which is quite long, by the way). The first book that you should read that tells you how to invest depends on you and your situation. When somebody asks me that question, I try to learn a little more about them. I generally recommend Andrew Tobias as a good introduction, though anyone who’s serious about investing will want to find additional reading. But if a person’s more technically-minded, I steer them to Bogleheads. I’m not a fan of this book. I recognize that it’s motivational (and, in fact, it was one of the books responsible for getting me to think about money), but I don’t think it has many actionable items in it. That is, there’s not a lot of stuff in RDPD that a person can use in their lives. I think of it and Loral Lagnemeier’s books as being less useful for specifics, but more useful for changing attitudes about money. But in that regard, I think the Eker book is superior. He’s more directly motivational, and when he does mention personal finance, his advice is sound. I have read most of the books on this list and think it is a very good starting point. I agree with previous posts that Your Money or Your Life by Dominguez and Robbins should be marked with two stars. Probably the next best finance book (and surprisingly omitted), is The Intelligent Asset Allocator – William Bernstein. I view Rich Dad Poor Dad as entertaining but not as essential or even useful reading. I think Intelligent Investor is a great book and definitely a classic. But, I think it is overly intimidating to people until they already have a substantial finance background. I would have to comment on “The Millionaire Next Door”. I found it to be excessively pro-frugal as a method of accumulating wealth. I found his second book “The Millionaire Mind” to be much more enjoyable as it emphasizes overall lifestyle and the possibility of accumulating wealth and simultaneously enjoying it. I also began with “Rich Dad, Poor Dad” but would now echo the thumbs-down. I enjoyed John T. Reed’s critique of RDPD. Good list. Many I haven’t read. Another brief read for ideas was “Why Smart People make Big Money Mistakes” – quick and easy, but applicable. “Buckets of Money: How to Retire in Comfort and Safety,” by Ray Lucia. Lucia’s planning system allows individuals to use the safety of fixed-income investments while also utilizing the time that stocks need to grow. “Yes, You Can Get A Financial Life! Your Lifetime Guide to Financial Planning,” by Ben Stein and Phil DeMuth. Excellent primer on how to get your career, life, and finances in order – perfect advice for people from their 20s to their 70s. I agree that Andy Tobias and Millionaire Next Door are entertaining – but Eric Tyson’s Personal Finances for Dummies and Investing for Dummies are MUCH more practical. I would recommend “Do what you love and the money will follow” by Marsha Sinetar, especially for teens/college students. It is similar to “What Color is Your Parachute” but a narrower focus on finding right livelihood. It made a real difference for me and has been an inspiration along my career path. I’d suggest “The Truth About Money” as well. I’m surprised so many of you have been anti Rich Dad Poor Dad. I have been self-employed for over 10 years and was feeling pretty proud of myself until I realised via this book that I was still on the wrong side of the cash flow quadrant. I was still just working for money – all that had cjanged was now I was the boss!. This book gave me the motivation to start my own business – a business that runs whether or not I am there. The other book that hugely influenced me in setting this business up was E-Myth by Michael Gerber. Great list… I have some suggestions, but they are in the (how to invest) category. I’m glad to see Your Money or Your Life on your list; that book is by far my favorite money book. 1. Get a Financial Life – a starter guide for people in their 20’s. 2. Smart Couples Finish Rich – for its emphasis on personal finance for couples. 1. Women live significantly longer than men – up to 20% longer – and need to plan thusly. 2. Women move in and out of the workforce as a result of commitments to child- and parent-care, which are shouldered more often by men than women. 3. Divorce leaves most women with a reduced standard of living, and 1 in 3 marriages now end in divorce. Joanne addresses all these things with aplomb, and offers all kinds of other sage advice about tending and protecting your money and your life. Also, she’s funny and ballsy, both of which I appreciated. David Bach’s “Smart Women Finish Rich” is great, too, even though all the TM’d phrases are a little annoying. The Money Camp – a financial literacy at home program for kids. Teach your kids about money and learn along with them because we know we were never taught how to be financially free from our parents or school. But who can blame them, no one ever taught them! You can either order the book for $69.00 or download it for $29.00. Worth the investment! Rachel, let’s not forget that 70% to 93% of these divorces are initiated by women. Guys, want to be rich? Don’t marry an American Woman! I used the site to get some simplicity books on this list! Hi — I made a mistake with my previous post. “Balancing Act” is by Joanne Yaccato. Not sure why, when I commented, I accidentally added an extra ‘mo,” but I wanted to make sure anyone looking for it wasn’t confused. 1. Do it. Money will come when you are doing the right thing. 2. Money has its own rules: Records, Budgets, Saving, Borrowing. 3. Money is a dream – a fantasy as alluring as the Pied Piper. 4. Money is a Nightmare – in jail, robbery, and fear of poverty. 5. You can never really give money away. 6. You can never really receive money as a gift. 7. There are worlds without money. Like the earlier poster said, I would recommend Rich Dad, Poor Dad – not necessarily for inspiration to get rich but mostly about smart money management. The easy-to-understand pictorial representations of debit and credit is a necessity to those who has a hard time understanding financial jargons. One of the books that should definitely be here (although I do like some of your selections) is Ralph Warner’s “You don’t need a $1 million to retire well.” Warner founded Nolo Press and did a lot of good research into what really provided people with a satisfying retirement. Surprisingly to some, it’s wasn’t money. In fact, if I had to pick the top five books for anyone hoping to master job/finance matters, it would be that one + Random Walk (Malkiel), + Money or Life (Dominguez/Robin), Living Well Without a Car (Balish), + What Color Parachute (Bolles). I love that you included The Richest Man in Babylon on this list. This was the book that changed my financial attitude and actually led me to search and find this site. I’ll second (or third, or …) the recommendation re: Your Money or Your Life. At first glance it seems like it might only be fitting for those willing to make a radical lifestyle change and embrace the simplicity movement. However, even without going to those extremes, the book is still really valuable in that it gets to really think about how we’re trading off time for money. I’ll also submit an additional book in the investing category: The Four Pillars of Investing by William Bernstein. It gives really good examples of the benefits of diversification and how proper asset allocation can improve your expected returns. “Your Money or Your Life” is my personal favourite. I would also add “Four Pillars of Investing”. “A Random Walk Down Wall Street” is a great book. I don’t understand why all these people saying it’s technical or a hard read. It’s very BASIC investing. It’s investing 101 and frankly, it’s a good start. Burn all these “Get Rich Quick” Feel good touchy-feel books. Money is math. To make money you have to Understand it, on the technical level. you can’t “feel out” money, you can’t sit down and talk about your feels with it. It’s money, it currency; learn how it works. Great list. Your Money or Your Life is one of my favorites. For my list of real estate investment books see my blog. I would also recommend “Fix em Up, Rent em Out: How to Start Your Own House Fix Up and Rental Business in Your Spare Time,” by (ahem) yours truly. Great work! I love Dave Ramsey and David Bach – thanks for the comprehensive list! I see nowhere on your sight The Informed Investor: A Hype-Free Guide to Constructing a Sound Financial Portfolio by Frank Armstrong. This was the book that really got my investments on track. It really outlines everything that’s said in Random Walk and really gives you a clear understanding of how fund advisers can rip you off. I’ve given it to several friends who knew nothing about investing. I second the motion on The Essays of Warren Buffett. And I would also recommend buying The Intelligent Investor, but the new edition with Jason Zweig’s comments. It breaks up the chapters, makes it more relevant for today, and makes it A LOT easier to get through an otherwise very dense (though fantastic) book. Money 202 – How to make serious money (more than $1 mill) – safely but ethically. Money 303 – How to KEEP your money when you make it (MUCH harder than it sounds: lotto winners, athletes, inheritors take note!). Unfortunately, there are NO books that adequately cover the 202 and 303 stages (yet) … only my relatively NEW BLOG ( http://7million7years.com/ ) … book coming out soon! I agree with HC. Great book — great primer, extremely helpful. I also highly recommend Suze Orman books for beginners, as well as watching The Suze Orman Show on CNBC each week. For more advanced reading, go to the books on this post. Never Eat Alone is a decent book but I TOTALLY AGREE that there is waayy to much name dropping! I’ve only read a few of the books listed above but those that I have read I would totally agree deserve to be on this list. Everyone should be interested in how to get out of debt and stay there, build a really savings, and retiring early. If you went to a local book store and asked them if they’d like to have any of those things I’m sure over 90 percent would say that they want them but they’re not chasing the knowledge that can deliver it. I wish books like these listed would be required in high school. This information is priceless. The Science of Getting Rich by Wallace Wattles, written in 1910 – my prosperity bible. Have to agree with S. Martile on Wattles, The Science of Success, but you cannot leave out Think and Grow Rich, Napolean Hill. Another classic mention is Lead the Field by Earl Nightingale-audio book. So I know this is a fairly old post, but I just recently found it and loved the advice (I’ve been slowly building my own library and am always on the lookout for more GOOD books to add). I’m mostly very proud of the fact that I managed to find 5 of these books at my local used bookstore… the best part is, I had credit on file, so I was able to get all of them without parting with any more money! I would like to add that the Personal Finance Desk Reference by Ken Little and Alpha Books is a great guide which pulls together all aspects of personal finance and money management in one rather meaty volume (878 pages). It is especially useful for those who may not be versed in the terminology of personal finance, as it defines a wide variety of terms and offers examples and tips along the way. I recommend “Crash Proof”, by Peter Schiff. Peter predicted the economic crisis of today in his book two years ago. 1) The Total Money Makeover – the most important of the bunch: not overly technical, very inspirational. 2) Financial Peace – The book that started the Ramsey “empire”. I think most people will get all they need out of TTMM, but this is worth reading also. 3) The Richest Man in Babylon – sound and simple. 4) The Millionaire Next Door – fascinating and eye-opening. 5) The Millionaire Mind – An OK read, but redundant with #4. While these are not really PF, but I think the attitudes and ideas in them fit well into a Financial Freedom effort. 6) Rich Dad, Poor Dad – I enjoyed it while disagreeing with lots of it. Entertaining at least. 7) QBQ: The Question Behind the Question – A great book, especially for checking and fine-tuning your overall attitude. A very quick read. 8) Who Moved My Cheese – Another quick read that focuses on attitude. I really enjoyed this one. Would be excellent for small group discussion. 9) The Four Hour Work Week – I haven’t quite finished this one yet. I picked it up because of a post here on GRS. I’ll admit it seems really extreme at first, but there are some of the ideas that I have started using, like limiting information flow (he says after spending all day reading on the Internet). It definitely has me thinking about my own future entrepeneurship (sp?). Along the way I tried to read “The 7 Habits of Highly Effective People” by Stephen Covey , but it was so dry I just couldn’t get through the first chapter. I also tried to read “Your Money or Your Life”, but I picked up the wrong one! I got the Neil Cuvuto book, which couldn’t keep my interest. I have the correct one on hold at the library. Finally, I tried to read “Transforming Debt into Wealth” by John Cumuta, but I did not like it. I have more books on hold at the library, mostly due to this list. Thanks a lot! William Bernstein’s The Four Pillars of Investing, is brilliant and easier reading than his The Intelligent Asset Allocator. Recommend his books and Jane Bryant Quinn. I have to add my $.02 here. I LOVED “Your Money or Your Life.” Did NOT like “Rich Dad, Poor Dad,” and I don’t think it’s relevant right now anyway, since real estate is tanking. John Cummuta’s “Are You Being Seduced into Debt” was really, really helpful to me personally. One thing I’ve learned from reading everyone’s comments is how one thing that really resonates with one person, is useless to the next. I was shocked at the absence of mention of Phil Town’s “Rule Number 1,” in terms of investing books. I just LOVE that book — I learned so much from it, and it’s really empowering. I would recommend it to anyone. Good luck and happiness to everyone! You can download the Joy of Simple Living (as well as other books) at no cost to you from http://www.wowio.com. Registration required. There ar various registration methods; I suggest the email address method rather than driver’s license or credit card. I downloaded The Joy of Simple Living a couple months ago for free from the site Josephine gave. Registration is easy and you can download 3 ebooks per day. Shop, Save, and Share (by Ellie Kay)is another one to look into. She tells people how to use coupons to greatly reduce grocery costs, giving tips on how to get good coupons (e.g., investing a small amount of money in papers for the day of the week with the coupon inserts, as well as perhaps for the day with sale circulars), when to double them to save the most money, how to approach couponing in a way that saves much time as well as money…. She has various other ideas as well. (I’m still making my way through the book, so I don’t know it as well as I’d like to be typing about it.) Crystal of http://www.biblicalwomanhoodonline.com/ fame, who blogs on saving lots of money, recommends it in an interview I found somewhere. I’d also recommend “Do You Want to Make Money or Would You Rather Fool Around?” by John Spooner. It’s a little known gem that a friend gave to me years ago. I recently picked it up again and found it not only very insightful, but seriously entertaining. Spooner is a master storyteller and you’ll forget that you are reading a financial advice book. The chapters are that good. 3 books I highly recommend, all by the same author, Mary Hunt. 2. Live Your Life for Half the Price. In Debt Proof Living, the 10/10/80 formula is explained. This book shows you how to live well on 80% of your income. 3. Debt Proof Your Kids. Debt Proof Living for kids. Shows you how to teach your kids about personal finance by giving them cash (amount is age appropriate) and teaching them to save and live within their means. Heads up–these books come from a Christian viewpoint, so if you are not inclined to that point of view, then don’t read them. Otherwise they are fantastic resources. I strongly suggest this book, not especially about money, but about someone that made tons of it! Buffett: The Making of an American capitalist. This books gives insights to one of the most referred person in the investing world. It won’t give you stock tips and such, but it’ll set the mood on how you should behave with your investments. I read this book 3 years ago(I’m currently 24), and plan to apply this to my career and life. Saving money is a losing strategy. The rules of money have changed…the US government is flooding our money supply with more and more currency. We are moving towards a hyper-inflation which means that the $20,000 that you worked so hard to save over the last several years will be lose much of its value in the years ahead. The alternative to saving your money would be to invest in tangible assets that hedge against inflation like gold, silver and oil. Leveraging debt is one way to increase wealth. If you are looking to make large sums of wealth, you MUST leverage debt and not be afraid of it. Acquiring wealth first begins with an abundance mindset. If you are obsessed with living below your means, it will be difficult to focus on expanding your means and tapping into the abundant resources that we have available to us. I’ve learned all of this from my mentor Robert Kiyosaki, author of Rich Dad Poor Dad. Much of what he teaches contradicts most people’s beliefs about money. Playing his CASHFLOW board game radically changed my perceptions about money forever. For a comprehensive list of financial/investment books of value, you can find a list at Bob Brinker’s web site. Some of my favorites: Stocks for the long run by Jeremy Siegel, Common Sense on Mutual Funds by John Bogle, Take on the Street by Arthur Levitt. Also great books: A Random Walk Down Wall Street-Malkiel, The Millionaire Next Door, and my first investment book, Tobias–The only investment guide you’ll ever need. Robert Kiyosaki got rich selling people books telling them how to get rich. Fraud may not describe him, but it’s not too far off. There are some positive things about his books, but far too many mistakes, errors, omissions, etc to make it worth it. (He makes a fundamental error in defining an ‘asset’ for example). His initial success was with Amway, and that’s how he got his books rolling, by the way. Plug “kiyosaki critique” into google and you’ll find an excellent website devoted to debunking him. “All Your Worth” by Warren and Warren is one of the best books I have read on basic personal finance. The focus is on self-assessing your current general spending patterns and attempting to make changes in ‘core’ areas to reach historically sustainable spending/saving patterns. The two also wrote “The Two Income Trap” a best-seller analysis of changes to income and spending patterns in the U.S. during the last 30 years. They will not tell you how to ‘get rich’ quickly, and some of their advice is very counter-intuitive for someone raised to spend more time focusing on small details rather than big picture financial issues. Here is another great money book, that was just published. My favorite book is “The 7 Habits of Highly Effective People” by Stephen Covey. Very simple and effective tips how to improve and change yourself and this way to reach the goals. Can we all agree by now that those books are full of s? Hmm, let’s see, S&P 500 is down 40% since 1998. That’s 10 years of investing your hard earned money down the toilet. I’m not even considering inflation, fees, etc. Then you might come with the mantras, “diversify, dollar cost average…” Ok, the Nikkei Index is down 78%, which means 20 years of investing in the Pacific down the toilet. Korea is bankrupt. Could you people at least burn the above books? Let me guess, you’re all voting for Obama, right? Wall Street, politicians, and book writers love people like you. Very good list, and nice adds in the comments section! For the comments on Rich Dad, Poor Dad – he’s a very good salesman, and he’s selling your own ability to reach financial freedom. Too light on actual useful techniques, and he makes it sound too easy, but there are some good ideas there. My favorite is his definition of wealth: how many months you could continue with your current lifestyle if you lost your job now. Thus infinite wealth is streams of passive income in excess of your expenses. Financial Freedom. Safe Strategies for Financial Freedom by Van K Tharp. What RDPD should be – he completely sells you on Financial Freedom in the beginning, then gets into cutting debt, increasing cashflow, re-deploying the assets you have, different investments, and finally risk management. When I finished investments, I was a little let-down that there wasn’t more with so much of the book left, but the risk understanding is the best part of the book, especially when he gets to taking responsibility for your situation. Creating Wealth by Robert Allen. My favorite Robert Allen book, because he starts with a list of asset classes and breaks down their strong and weak points – worth it just for this chart! But he also gets into how to accelerate your real estate portfolio, and some very clever ideas on how to build wealth with mortgages and other less-well-known strategies. You can get in trouble with “No money down” strategies, but overall a very good book. It’s Not About the Money by Brent Kessel. This and T Harv Eker’s book are the best I’ve found on understanding and re-wiring your relationship to money. When he comes to financial crises, he starts with Loving-Kindness meditation and some very good non-standard practices. Automatic Wealth: The 6 Steps to Financial Independence by Michael Masterson. Master marketer and businessperson, he walks you through the stages (if not full steps) of getting rich – starting with becoming indispensable at work, then building your own side business. I didn’t like Ready, Fire, Aim as much though – this one is better overall. Just One Thing by John Mauldin. He goes to some of the best minds in investing, and asks, “If you could impart just one idea to your family/disciple/students about money, what would it be?” There are some great answers here. Market Wizards by Jack Schwager. More for people who actively invest or trade the markets, this book looks at the most successful and what they do. You’ll find some common themes: cautiously optimistic, willing to be responsible for their mistakes, honest appraisals about their abilities, understanding of risks, and great money management (best explained in Tharp’s book – the first on my list). Good reading! And thanks for your suggestions, all. 2. You might or might not need to rebalance. But is this applicable in current market. This book is hilarious–well-written in a simple, conversational style. Even a fifth grader could understand this…and that is not at all an insult to the book, which underscores the importance of getting a true grasp on your business’ financial fortitude. Evidently, even businesses that are showing up making a profit are still losing money! Could that be why we are in such an economic mess? Maybe. Still, one should absolutely check this book out–a finance library Must-Have! The Personal MBA is a comprehensive list of 77 books (93 with the supplements) in 12 categories that is intended to deliver the 20% of the knowledge given in an MBA that give 80% of the results. I just got through The Automatic Millionaire and I will say I enjoyed the read. I have 3 friends lined up already to read it next and I will continue to pass it out to peers in my age group (mid 20s). In our economy it is important for us young people to take advantage of what is out there and prepare for a good future. I am hoping to read more and more over the coming year(s) and get this ball rolling now. I seriously hope this is not a paid to post article, cause I think the article is very well written. You’ve given so good description of the books. I like the way you present things. I would recomnend Think And Grow Rich by Napoleon Hill as my top book for changing your life and making money. No nonsense, easy to read, straightforward plan. Highly recommend his podcast (Sound Investing) as well. Napoleon Hill: Think and Grow Rich- deep read but vital information on wealth building and goal setting. Robert Kiyosaki’s Cash Flow Quadrant- a very important motivator to get out of the wrong quadrants and strive to become investors and business owners. I would never have done it without his ideas. Michael Gerber E-Myth Revisited. DO NOT START A SMALL BUSINESS WITHOUT READING THIS BOOK! I would also recommend “Whatever Happened to Penny Candy ?” by Richard Maybury if people want to learn how money supply effects inflation and the stock market. It’s a simple read geared to a grade 9 level but completely explains some basic economic principals for investors. I find not having a Car a blessing; of course, I chose to live in an area of our City (pop 225,000) where I could walk almost everywhere. Also an area with some public transportation and during Tourist Season, a Free Trolley 7 days a week. Having owned homes before and now being retired, I decided not to own but to rent… again having previously lived in Chicago for 27 years without a Car, I had a different approach to transportation. We also have an Enterprise Car rental service closeby which we use for Trips — especially in the Summers. “The Millionaire Mind”, Dr. Stanley’s follow up book to the “The Millionaire Next Door” does a nice job spelling out the character traits needed to put you on the path of financial security. You’ve missed out “Rich Dad Poor Dad” by Robert Kiyosaki. I realize this is an old thread, but it’s good to see this information circulating again. In all the comments, I don’t see that anyone has mentioned Ric Edelman. He’s published many books. My personal favorite is “Ordinary People, Extraordinary Wealth”. If, after reading the first chapter, you should chose to continue to pre-pay your mortgage, at least you’ll know why you’re doing it. And if you’re not pre-paying, you’ll know why that may be an excellent financial decision. P.S. I wholeheartedly agree with the omission of RDPD. I wonder how many RDPD “millionaires” have lost it all in the current economy. Although not a book for beginners I highly recommend “Protecting Your Financial Future”, by Lee Phillips. After getting some of the basics under my belt regarding debt reduction and savings, I wanted to learn how to keep more money and pay the govt. less. This book has it all. I’m surprised Rich Dad Poor Dad wasn’t on the list. I didn’t see at as being about Real Estate as someone mentioned in a comment, it was about thinking and acting like a rich person. Just wanted to say thanks for this great list of books. I haven’t heard of most of them but I’m sure to get a copy and read them. I also want to agree with some of the comments that Rich Dad Poor Dad is NOT good. I previously came upon a list of “great” financial books and upon seeing Rich Dad Poor Dad I immediately click back and came here instead. Rich Dad Poor Dad is all fluff. And yea, The Intelligent Investor is not that technical but it’s a long long read. Interesting article! I have myself thought about reading “the millionaire next door” soon. My weak point is books and I welcome any tips on good books, mainly concerning personal finance and self-development. And this may not be popular with some people but playing the game CASHFLOW will certainly enlighten most people that doing nothing will get you nowhere but taking action for yourself you can get out of the rat race of life. I have the audiobook of Total Money Makeover by Dave Ramsey. Got me started on my debt journey., serious since March 2011 down 16k to 8k of debt with a little luck. I listen to it to work sometimes, nothing gets you motivated like Ramsey (who is the reader of the audio book) calling you financially fat! I’ve read many books on money & strongly recommend “How Much is Enough?” by Arun Abey & Andrew Ford. It’s a book that answers the number one issue that is on our mind when relating ‘money’ and a ‘happy life’. A sentiment that would resonate with readers of the Get Rich Slowly blog. basically because of its simplicity..
Nice compilation, thanks for sharing! I also like reading books which praise frugality and being content with less such as some philosophy books as well as some self-help books. Saving money is not only about money – it’s also about your attitude toward it. Excellent post. I was checking constantly this blog and I am impressed! Extremely helpful information specifically the last part :) I care for such information much. I was looking for this certain info for a very long time. Thank you and best of luck. Great list. Now I just have to pick one or two. Im browsing through the mass of PF books on Amazon and would need an advice where to best to start, considering my situation. I’m 30, selfemployed but earning just to get by. I have no debt, but also no savings, investments or worthwile posesions. I plan to first read books which would motivate me to achive more, earn more, work better, be more active… to get a better income. I’ve started with “Secrets of the millionaire mind” which I find pretty good. Now I would need a PF books geared towards my financial situation, so, no debt but limited income. Thank you for sharing these books. I have read this book and found it really motivational and a real practical guide with Real-Life and practical examples. It is a must read book for all the beginners. This book is very helpful for both financial or non financial managers.